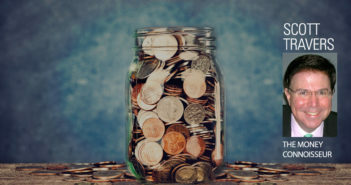 U.S. dimes, quarters, half dollars and dollar coins from certain mint dates are worth much more than face value. Watch as Scott Travers, gold and rare coin expert, and author of The Insider’s Guide to US Coin Values, explains why you should invest in precious metals. 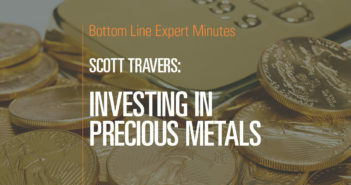 In this video, Scott Travers, gold and rare coin expert, and author of The Insider’s Guide to US Coin Values, explains why you should invest in precious metals. It is an excellent way to diversify your investment portfolio and is a source of insurance and potential barter in the event of an economic calamity. 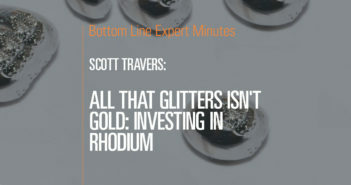 While there are many precious metals to invest in (such as gold, silver, platinum and rhodium), Mr. Travers recommends gold in particular because it is a universal currency rather than a commodity (such as silver). That makes it a more secure and liquid investment. Finally, he suggests that consumers purchase physical metals rather than funds based on these metals so that they can use these metals for bartering if necessary.